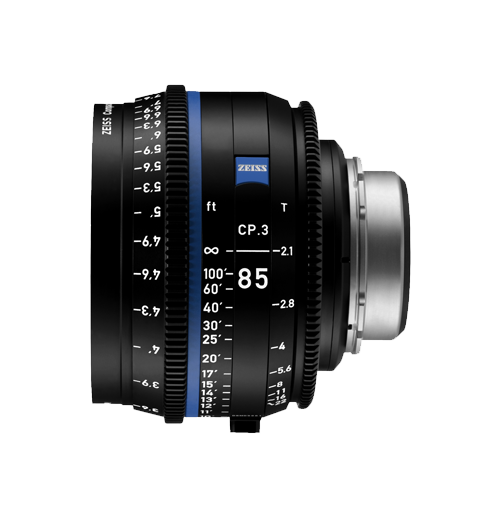 Building on the success of the well-regarded CP.2 lenses, ZEISS's CP.3 Compact Prime Lenses offer the same full-frame sensor coverage and classic ZEISS look in an updated form-factor and with improved mechanics and lens coatings. This lens also includes the new eXtended Data connections which transmit essential lens metadata through both a Cooke /i interface on the mount itself and a 4-pin LEMO connection on the lens body. 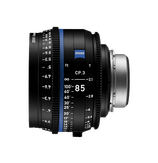 This 25mm Compact Prime lens is derived from the same classic optical formula as the preceding CP.2 variant and shares the same physical length as the 15, 18, 21, 28, 35, 50, and 85mm CP.3 lenses while maintaining identical focus and iris gear positioning with the entire set of CP.3 lenses, relative to the mount. All CP.3 lenses also share the same 95mm front diameter. Similar physical attributes across the lens line makes fitting lens accessories such as matte boxes, follow focuses, lens supports, and lens control motors easier and less time consuming.